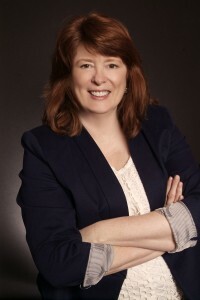 Willa Blair is the award-wining author of Amazon and Barnes & Noble bestselling Scottish historical paranormal romance and a contributor to USAToday’s Happy Ever After romance blog. Her popular Highland Talents series, set in a pivotal point in Scottish history, is filled with men in kilts, psi talents, and plenty of spice. Available in ebook, print, and audiobook formats, the first three titles will soon be joined by more novels of adventure and romance. I enjoy it. I love learning, so I enjoy the research. I enjoy getting my characters into trouble and helping them get out of it again. I enjoy watching the romance develop, putting roadblocks in the characters’ way and seeing them overcome them. I’m a linguist at heart and by profession, so playing with words is fun. Ultimately, though, hearing from my readers that they enjoy my stories is the best inspiration in the world. My readers keep me writing. They’re the best! I used to be a “pantser” — writing by the seat of the pants. I learned the hard way that takes me too long to finish a book. Now I write an outline and use it as a roadmap to keep me on track, or to get me back on track if my characters wander. I use a 3-column chart. Each row is a chapter, divided into three scenes by the columns. By necessity (and choice) my outline is concise. I save the detail for the actual writing. I see the story unfolding almost like watching a movie, so my characters talk, and at times, they take the story in a direction I had not anticipated when I wrote the outline. I can choose to let them lead and see where they go. If it works, I go with it. If not, I go back to my outline and regroup. If you have a stack of projects started, that’s great, but they won’t get published. Pick one, finish the first draft, pat yourself on the back, then revise that draft, get it edited and send it out. Then start on the next one in the stack while you wait to hear about the first one. If you finish your book and are thinking about self-publishing, get it professionally edited. You must get other eyes on your manuscript to catch all the things you can’t see because your brain sees what you expect to see, not what is actually on the page or screen. I liked my publisher’s business model. The Wild Rose Press is a small publisher, which means each author is a person to them, not just a source of material. They communicate freely and openly with their authors and are always very helpful and very willing to answer questions. They have a standard contract and their terms are among the best among publishers, small or large. They’ve been rated a top publisher on Preditors and Editors for many years. I think it’s better than it’s ever been and getting stronger. There have never been more opportunities for authors to get noticed and for readers to find exciting new books and authors to read. My books are available as ebooks, in print and in audiobook format — something for everyone!